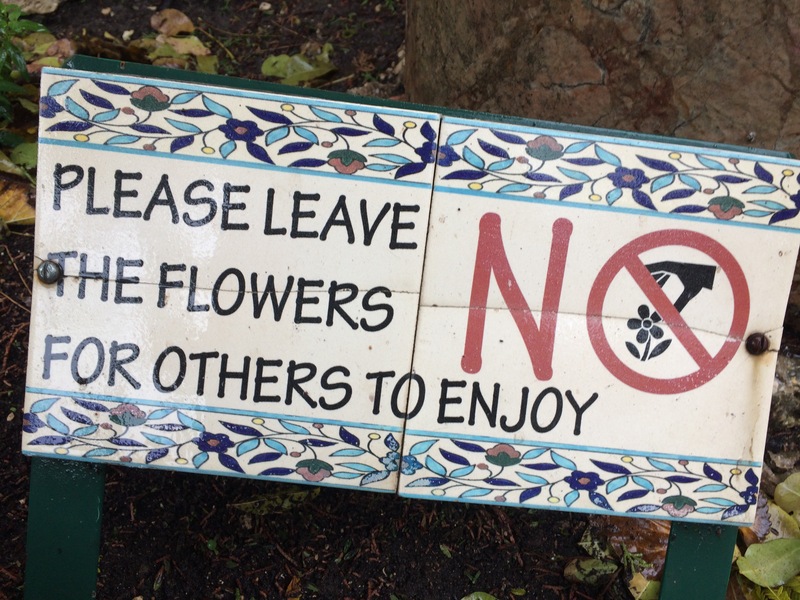 “Please leave the flowers here for others to enjoy”, read the pretty ceramic notice in the garden where Jesus may (or may not) have been buried. Although somewhat sad that this sign was necessary, it was unsurprising. So many people here seem to want a piece of Jesus and for some nicking these flowers is the closest they can get. Wherever he may have walked or talked or breathed his last, people gather. 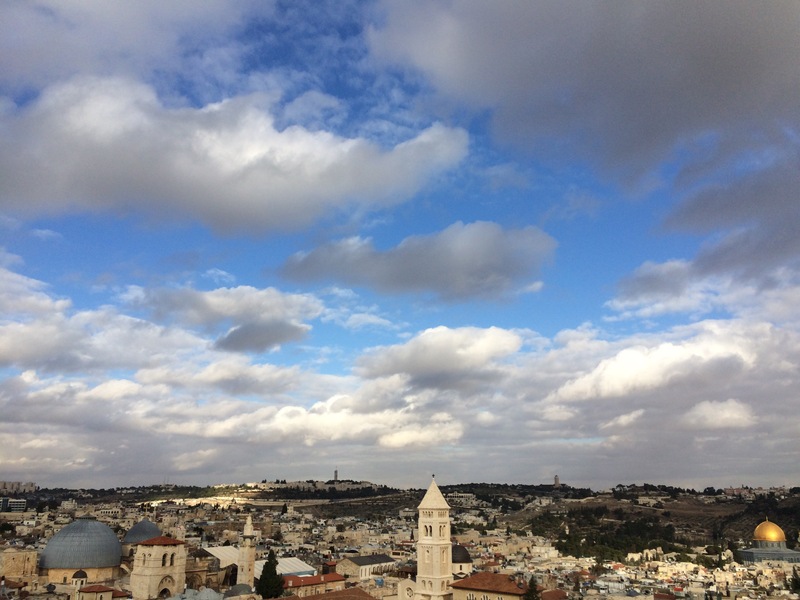 Whether by walking along the Via Dolorosa or by frenetically touching a piece of rock in the Church of the Holy Sepulchre, sanctified by tradition and made smooth by years of veneration, they seem hopeful that these will serve as thin places, offering the possibility of a more tangible connection to the divine. 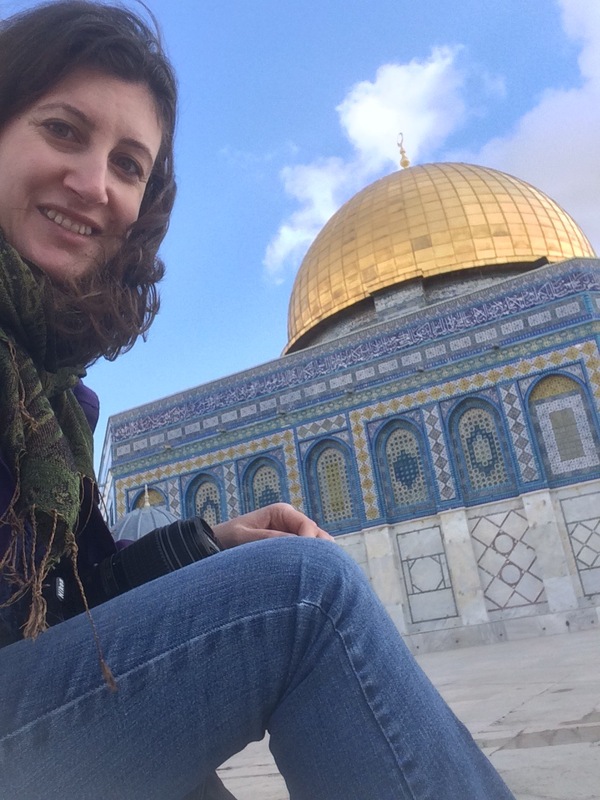 Is it bad that I personally feel more awestruck by the blue Ottoman tiles on the Dome of the Rock than I do by the huge blingy edifices which mark the sites of Christian pilgrimage? That’s why I quite liked standing in the peaceful garden looking out onto one of the two possible locations where Jesus may have been crucified. 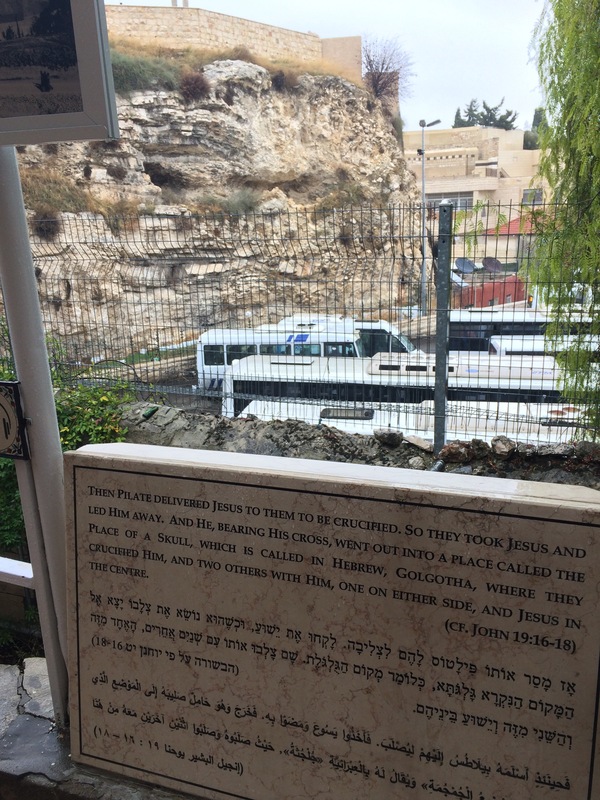 The small cliff face which is believed by many to be Golgotha, the place of the skull, is next to a bus station. There’s no massive church here: it’s just a place where significant things happened and where daily life continues. The beeping horns and smell of petrol make this so unromantically ordinary, yet for me this paints a picture of the Christmas message of incarnation; God entering our human realities quietly, inconspicuously and shamefully. Maybe it was here, or maybe it wasn’t, but it was in an unexceptional place like this outside the city walls where the greatest of victories was accomplished amid all the trappings of failure. 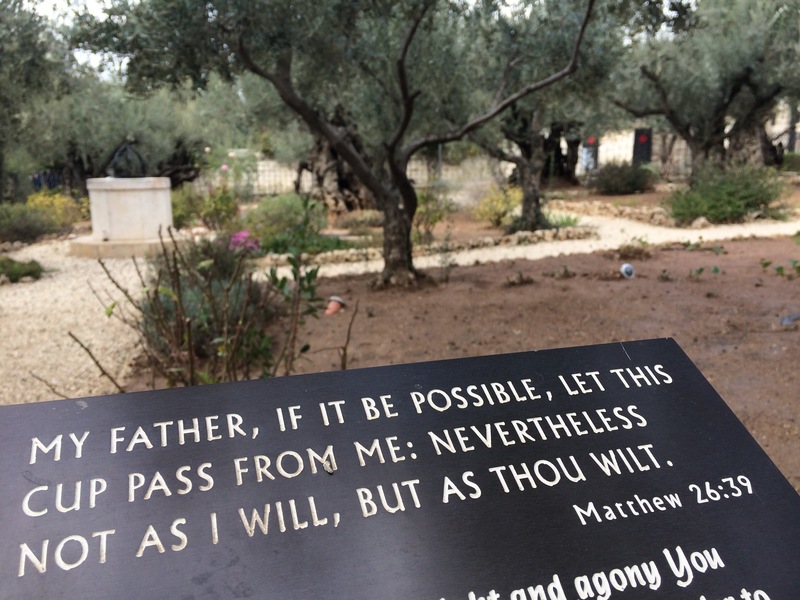 So too the peacefulness of the Garden of Gethsemane at the foot of the Mount of Olives where age-old trees which have witnessed history continue to grow. The trees themselves are cordoned off to stop, I suppose, devotees killing them by taking home bits of magical bark, but there’s an earthy rootedness about the place where Jesus counted the cost of love and made the choice to ahead with it anyway. Of course, next to the garden they’ve built a massive church, but its dark simplicity and relative emptiness made it a welcome space for rest and contemplation. I went in, sat down and stayed for a while. 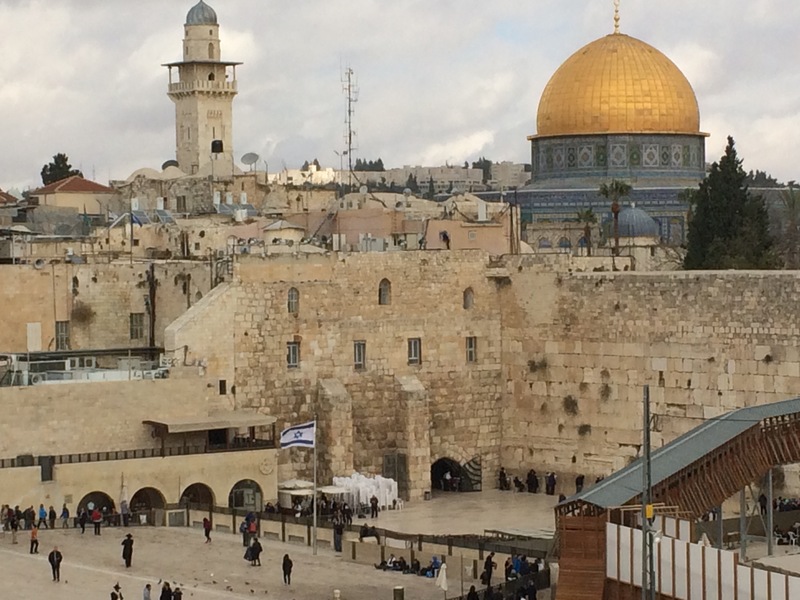 Yes, I reflected, there is something lovely about vast, beautiful and silent places of worship that are built to the glory of God (setting aside for a moment the political and power statements that such buildings make, especially in Jerusalem). 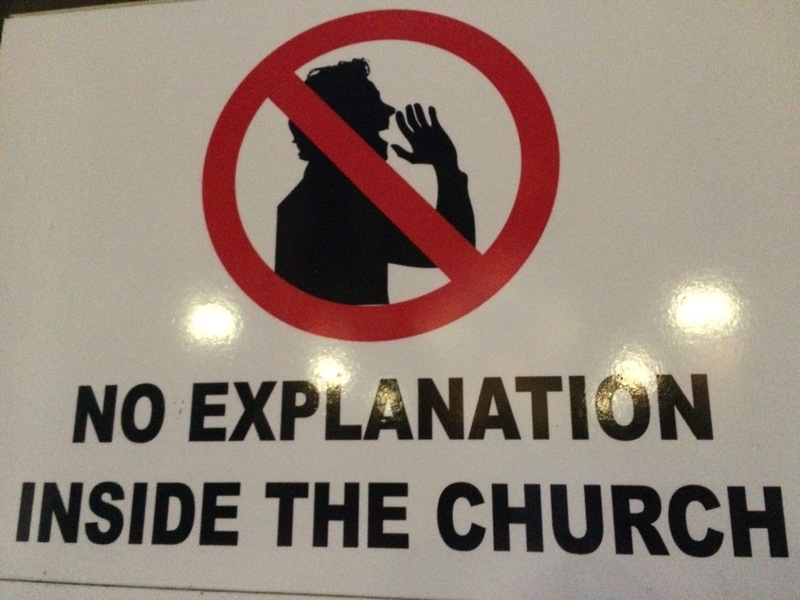 On my way out, i couldn’t help but smile at the sign banning ‘explanation inside the church’. I’ve loved being here and am grateful for the opportunity to experience and visualise the context of familiar old stories. 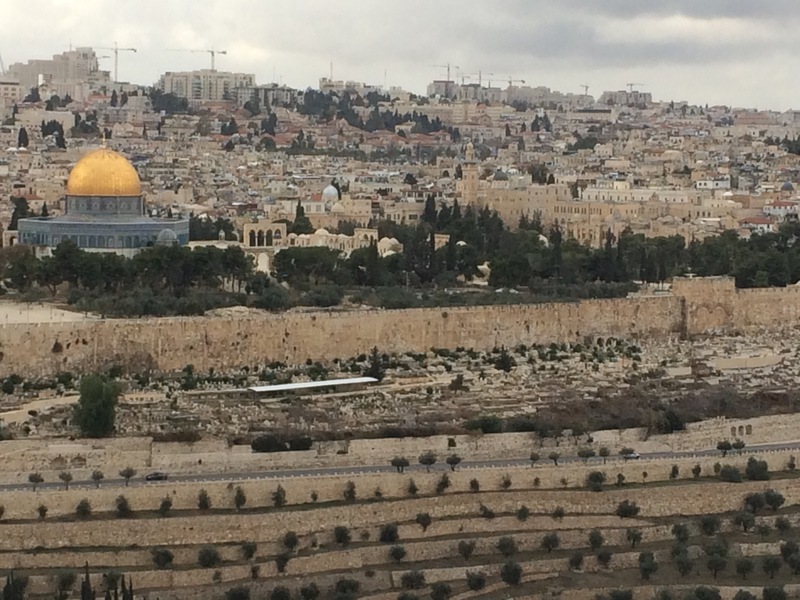 But it wasn’t as if this Holy Land offered more than that. Perhaps because God is more visible in current acts of love, service and sacrifice than in relics and much-visited sites of past events. And, goodness knows, this city needs dividing walls to be broken down and this ridiculous post-Brexit pre-Trump war-afflicted world (not to mention my life) needs some hope. December 18, 2016 in Church and Theology, Migration & Travel, My Life. No explanation inside the church! Perfect. Thanks for writing – always interesting and inspirational, not to mention glad to keep up with where you’re at.